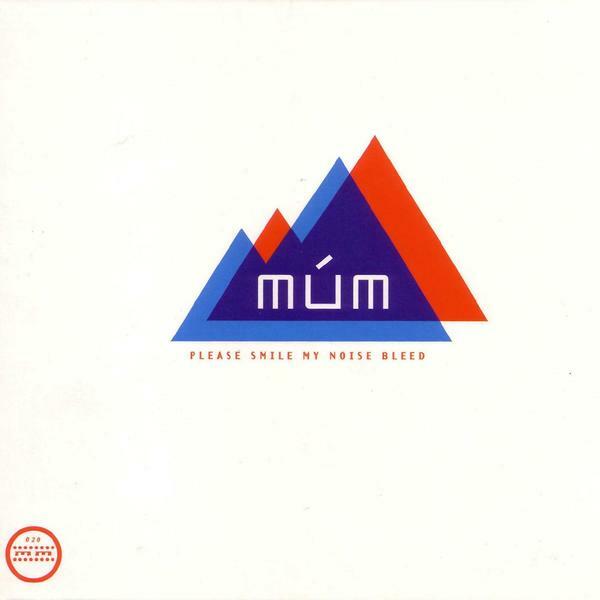 In a way it was only a matter of time before múm would end up on morr music. Anyone who has had the pleasure of listening to the icelandic quartet’s celebrated debut album "yesterday was dramatic, today is ok" knows that múm’s eye shutting-bicycle beats, sounds and melodies would feel suitably at home with the morr. This record came to be raw for múm, like raw carrot. In a way their machines wrote the musik themselves, while múm were playing around on a mountain, lying down, standing up, running around. When they came back they were surprised by their beauty. This is where things started looping and feedbacking and even the old mountain radio swam in with a few random words and murmurs. A very old distant friend joined in singing, but only for a split second. When the songs had recorded themselves on tape, Thomas Morr sent them out to all his nice guys who made new pieces out of them, each one special in it being musik: with remixes here from – Christian Kleine, Isan, Phonem, Arovane, B.Fleischmann and Styrofoam. In Total, 2 new songs, 1 new interlude and six new remixes from the best of Morr. Killer.